There are certain conditions that can be a death sentence for a rescue cat. Being a “wobbler” is one of them. The official term is Feline Cerebellar Hypoplasia and it’s a neurological condition that results in walking and balance problems. Even though they are as loving and playful as other kittens, most people don’t have the understanding or the resources to care for a CH cat. When they end up in a shelter or are in need of adoption, even the most caring organization can be daunted. VOKRA has had a number of “wobblers” and has had good success with therapeutic treatments for them. So when we received a call from a small rescue in Lethbridge, Alberta this March, saying they had a litter of four kittens in their care, one of which had CH, and had just taken in another wobbler kitten as well, we understood only too well the likely fate of these babies and the need for VOKRA to help. 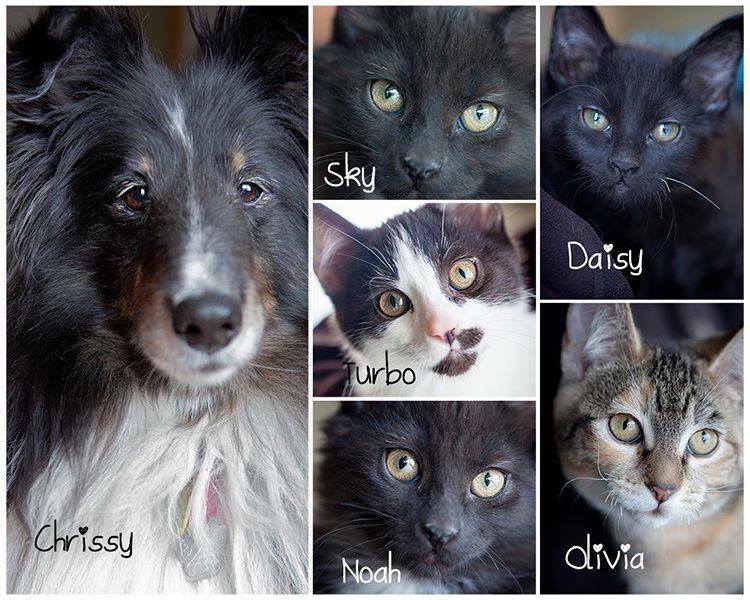 Purrfect Endings in Lethbridge, like most rescues, was overwhelmed. They already had three special needs cats in their care, so when they ended up with these wobbler kittens, they knew they didn’t have the resources to care for them, let alone find homes willing to take them forever. 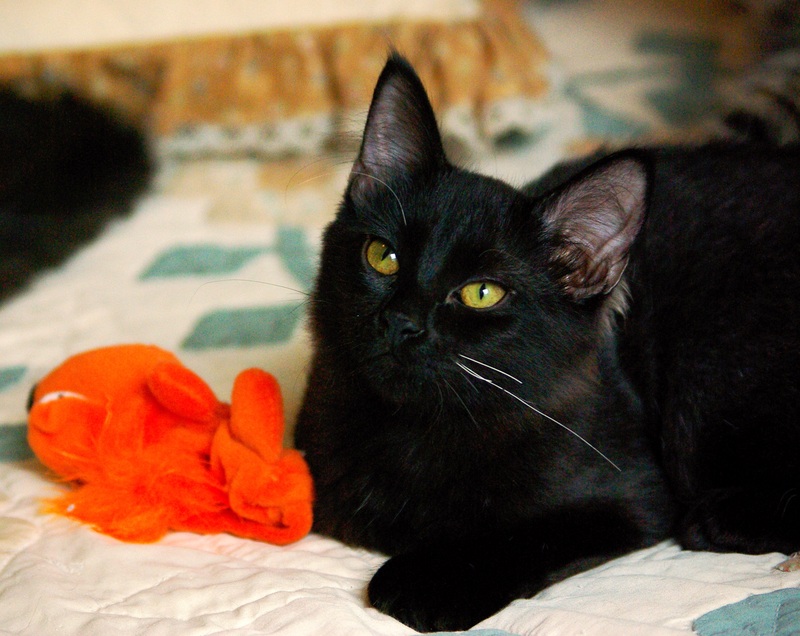 Daisy and her three brothers Sky, Turbo and Noah came to Purrfect Endings Rescue Society from a situation where their mom, Black Cat, was not spayed resulting in litter after litter of kittens. 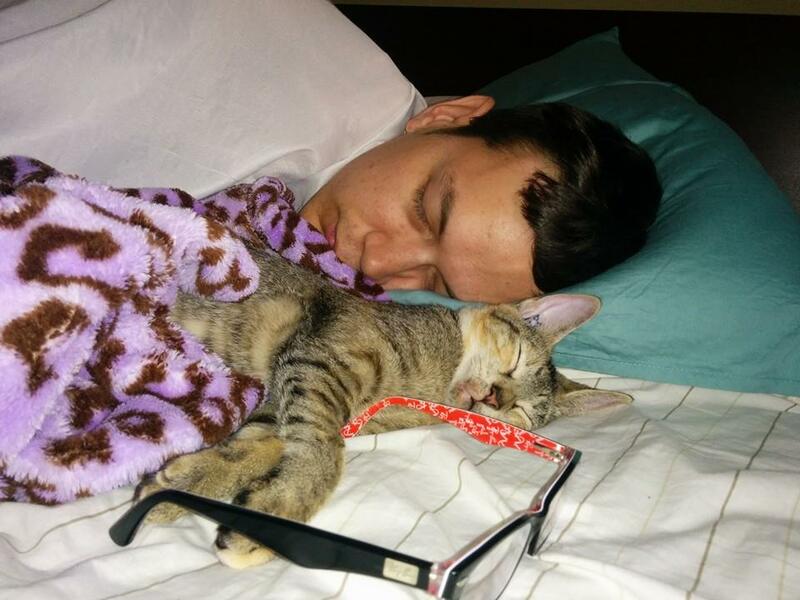 Purrfect Endings Rescue takes in many special needs cats. However, when it was discovered that Daisy had CH we searched for a rescue that had the resources to better accommodate her needs. We were so fortunate to find VOKRA. We agreed to take the siblings, including wobbly Daisy, as well as the other CH kitten, Olivia, all only a couple of months old. But Lethbridge isn’t exactly a hop skip and a jump from Vancouver. So how to get them to us? We called our friends at Pilots N Paws. If you haven’t heard of this amazing organization, well, get yourself a kleenex and have a sit down before you read about what they do. Pilots N Paws provides free air transportation to Canadian-based rescue organizations and shelters. They have helped countless abused, abandoned, and injured animals get to fosters, adopters, rehabilitation and medical groups. Check out their website to find out more about their amazing work and how you can become a Petscort! Pilots N Paws was in. They organized a volunteer to drive our new buddies over 200 kilometres from Lethbridge to Calgary where the cats would then be flown from Calgary to Abbotsford. Everything was a go. And then the weather turned. The flight couldn’t be made. But that didn’t stop the amazing folks at Pilots N Paws. 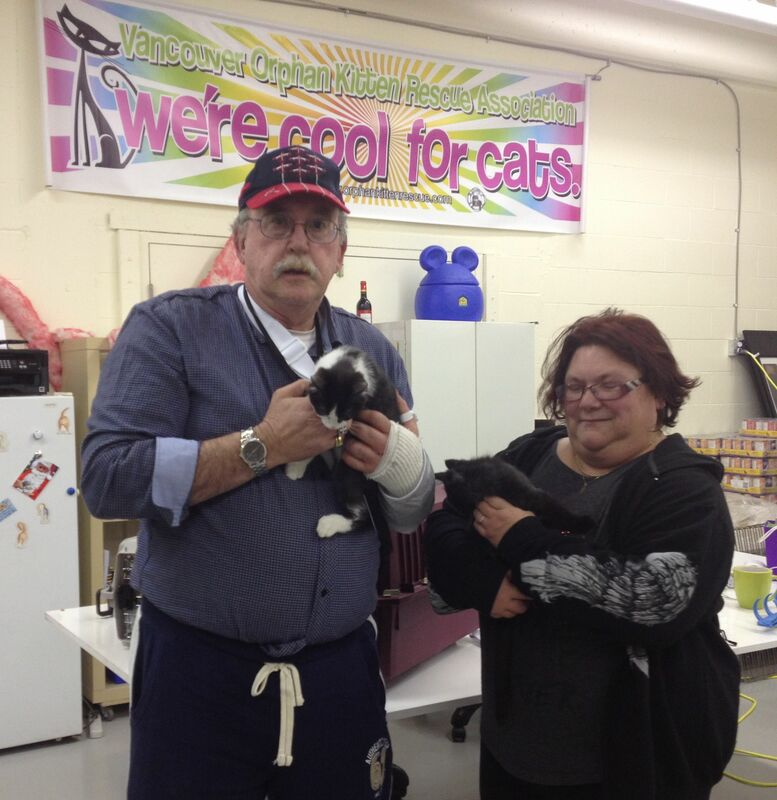 Instead, Russ and his wife Karen loaded up their car full of rescue animals and headed off on the 11 hour drive to Vancouver! Aren’t you glad I told you to get that kleenex now? These are some dedicated folks. 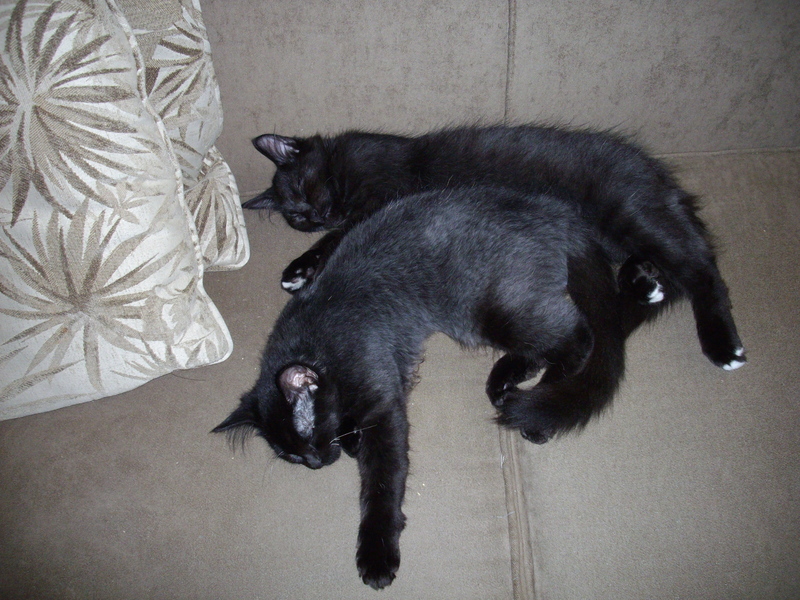 Safe in Vancouver, Noah and his brother Turbo were adopted quickly. Daisy and Sky went into foster with some of our experienced Wobbler Wranglers, Lee and Sheral. Okay, they do more cuddling than wrangling, but they are the volunteers we turn to when we have CH kitties because they have opened their homes and hearts to special cats like this before. Sky and Daisy quickly made themselves at home and got to work on Daisy’s physical therapy, a.k.a. playtime. Olivia, oh sweet Olivia, is with another one of our dedicated volunteers, Jen. Although Olivia couldn’t stand or walk without falling over when she first came in our care, she was playful and determined. Fostering Olivia has been both rewarding and challenging. She is a super sweet loving kitty who will purr up a storm in greeting. She loves everyone she meets and they love her too. She tries so hard to do things that would be simple for a “normal” kitty, like eating from her bowl. She knocked a tooth loose recently when she fell and had to have the tooth pulled! She does sometimes get frustrated when she tries to do something and just can’t but she is so determined and full of energy! 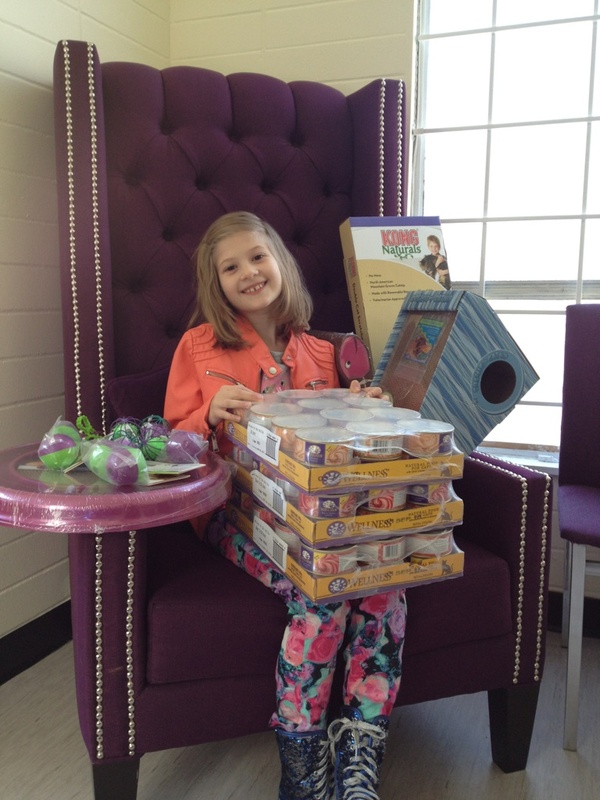 Jen and her husband Connor have been working with Olivia daily to build up her motor skills. As with all special needs kitties, getting them into our care, while life-saving, is only the first step in the rescue of a wobbler. They require special foster humans who can spend lots of time with them and provide an adapted environment to live in so the kittens are safe. They are in foster care for longer than other cats, putting a strain on our already stretched-thin resources. But they need more still. In order to truly allow these kittens to develop, we need to provide them with specialized therapies. They can benefit from acupuncture and physiotherapy and we’ve had good success with hydrotherapy to help increase strength, mobility and to support “re-wiring” of neural pathways in the brain. But these treatments are costly and we can’t always afford them. After all the coordinating, driving and volunteering involved to rescue them, it breaks our hearts not to be able to provide cats like Olivia and Daisy with therapies that could help them, and that could mean the difference between them being adoptable or not. 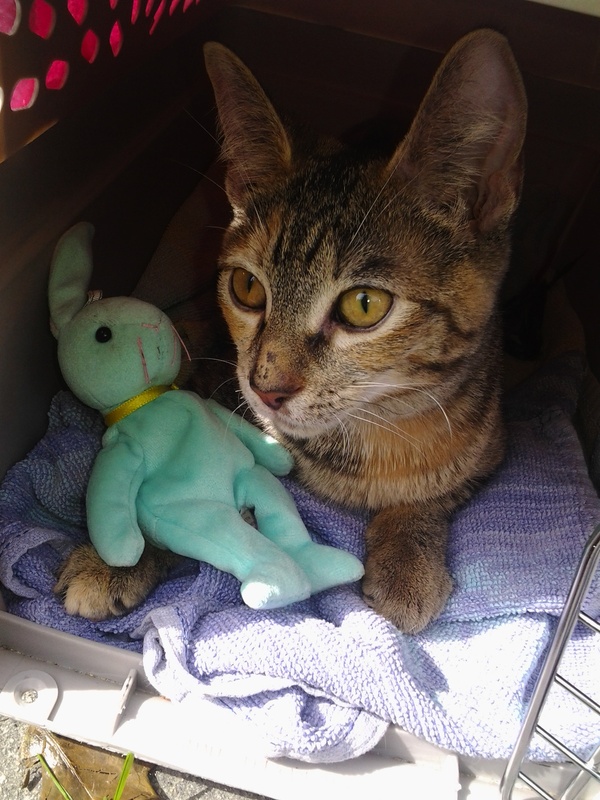 But at more than $1,000 per cat, not including food, litter and other necessary supplies, these treatments still remain out of paw’s reach for these kitties. We’re hoping you’ll help. Not everyone can foster, let alone adopt a CH kitten or cat. But everyone can help us care for them by making a donation in support of these special babies. Please visit our website or click the big DONATE button on the upper right and contribute whatever you can. Let us know that you’re donating in support of the Lethbridge kitties and we’ll make sure your money goes directly to their care. We couldn’t say no to Daisy and Olivia when we got the call about them. Can you?